The Karuizawa Vignette, the brainchild of Sayako Hirokawa, was first published 40 years ago with the aim of promoting the beauty and charm of Karuizawa, the popular Japanese mountain resort. To date, 121 issues of the Karuizawa Vignette have been published. Over the years, it has gained immense popularity within the resort and can be found in every living room in Karuizawa. We had a chance to speak to the woman herself, Ms. Hirokawa about what attracts people to Karuizawa, and about life in the resort town. 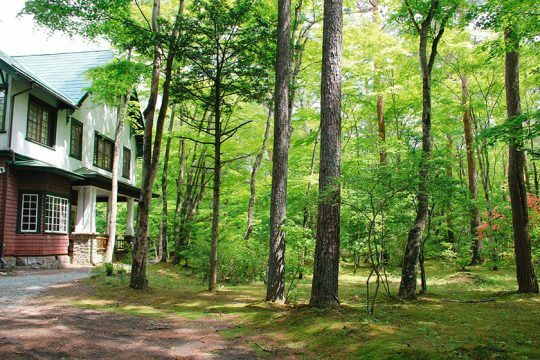 According to the Ministry of Land, Infrastructure, Transport and Tourism’s survey, in the residential sector, the villa site at Karuizawa showed the highest price rise in the prefecture from last two consecutive years. What makes the area so popular? 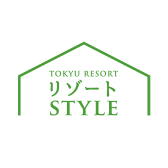 “In addition to the clear air, smell of the trees and natural beauty, its more than 100 years of history and tradition add an unmatched charm to this resort”- Ms. Hirokawa says. 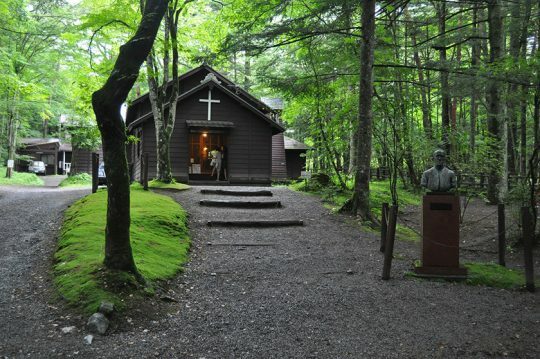 The history of Karuizawa dates back to the Meiji era when Alexander Croft Shaw, a missionary from the Anglican Church cleared the area. From the Meiji to the Taisho era, most villas were owned by elite Westerners who would spend their vacations here. (They were invited to live in Tokyo with a view to learn from their culture, and adopt their economic, industrial, and academic practices to help modernization of Japan). After a while, the Japanese politicians, celebrities and other top brass started to build their villas here too. Ms. Hirakawa has covered several of these historic villas in her stories. Of them, the oldest Western-style villa, which belonged to Saburosuke Mitsui (a successful Japanese businessman who was the head of the eighth generation of Mitsui zaibatsu) is said to be one of the most valuable villas existing till now. 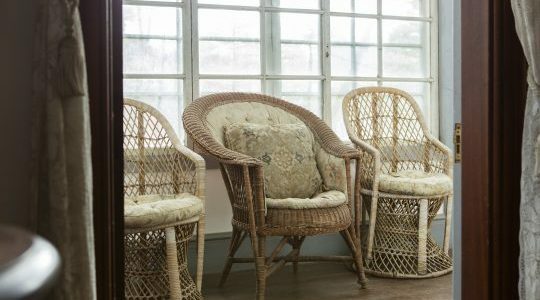 She showed us this amazing photo in which we could see its profound interior, lace curtain on a white window frame, wicker chairs and a classy chandelier, all reminiscent of Rokumeikan, a Meiji era building that was built to host foreign dignitaries. Asako was the daughter of the head of the sixth generation of the Mitsui zaibatsu, Takamasu Mitsui. She was quite close to her brother-in-law Saburosuke, and often visited him at this villa. 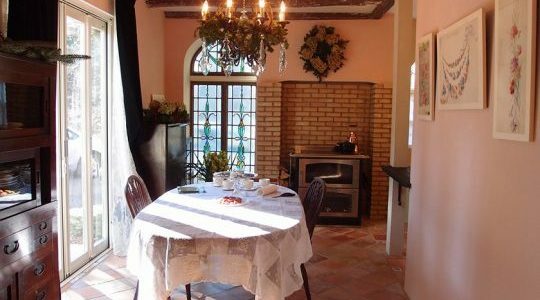 The villa constitutes both a western and a Japanese building, co-existing and complementing each other, which is rather unusual. The Mitsui family was one of the most prominent zaibatsu (a financial clique) in Japan, so their family villa was often visited by political and executive heavyweights, including the Japanese former Prime Minister Saionji Kinmochi. The Indian poet Tagore also stayed the villa once and meditated under a nearby fir tree. Karuizawa has a permanent population of 20,000 people. With about 15,000 villas, even if there are just two people living in each one, that’s an estimated 30,000 people living in villas in the area. Karuizawa enjoys a reputation of being a city of villas. That being said, many people are so enticed by Karuizawa’s charm that they choose to settle down in the area. Ms. Hirokawa has covered a lot of these people’s stories. Ms. Hirokawa strongly advocates doing thorough research and making careful selections before starting to build your villa. One of the best things about Karuizawa is that each season brings a unique beauty to the place. The fragrance of the flowers and lush greenery, the chirping of wild birds, squirrels running up tree branches, Karuizawa is truly at one with the elements. Here, you can enjoy natural beauty every season in a way that’s impossible in a city. There’s also an abundance of edible wild plants, mushrooms, timber and other resources in the highlands. All your shopping needs are well met here. There are many shops, bakeries, restaurants, and stylish boutiques. At a short distance from Karuizawa, you can enjoy the treasures of “Shinshu”. “Please don’t forget that Karuizawa is on a mountain that’s about 1,000 meters above sea level.”- Ms. Hirokawa calls attention to the untold rule of this area. “Since this is a summer resort that was originally established by missionaries as a place of relaxation and rejuvenation, there are implicit rules you need to follow for a comfortable lifestyle.”Ms. Hirokawa says that it all comes down to a sense of “being one with nature”. This means, we need to respect nature while it lets us enjoy all its bounties. 「軽井沢を伝える想い。軽井沢ヴィネット初代編集長に聞く～後編」by Karuizawa News Paper Editorial. Visit Our New English Blog! We provide tips & advice about everything related to real estate in prime resort regions of Japan.